There are certain uses and importance of formatting which a writer needs to bear in mind while writing the assignment. Formatting makes the assignment conform to the standards of presentation of specific assignments. The page header is made at the top of the page with the page number at the top right hand side of the page with a maximum of 50 characters. The main portions of the assignment for a writer in APA are title, abstract, main body and references. The title typed in the centre of the page. Each word needs to be capitalized excluding article and preposition. The title should be followed by the name of the author. The first name, middle and last name of the author is written. No degree or specialization is needed to be mentioned in the title page. The institutional tie up should be mentioned which is reflection of where the research was conducted. Abstract or executive summary should be written on a new and fresh page. The abstract needs to incorporate a “page header” and the word abstract needs to be written on the centre of the page and no formatting is needed to be applied to it. The abstract should not be made bold or italics and no such formatting are needed to be applied to the abstract. The abstract needs to be concise and well articulated. However, the abstract should include all the key elements of the topic. 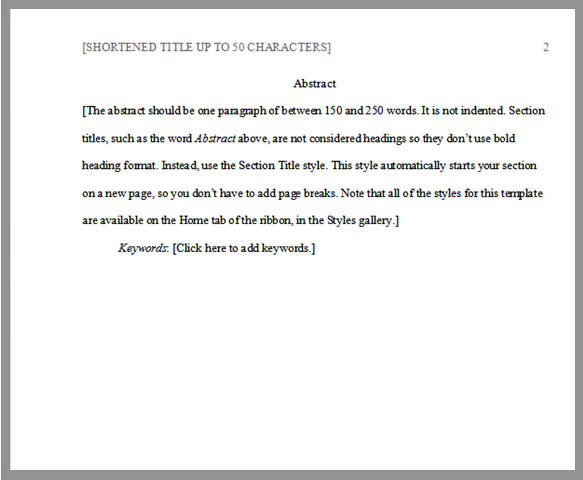 The abstract should be in one paragraph and double spaced. Ideally, the abstract should be 10% of the word count. If the writer intends on including the list of keywords, then a new indentation is needed. This should reflect a new paragraph. In APA style there is no specific heading for the introduction section and letters and numbers are not used to signify the heading. The number of headings depends on the length of the assignments and the number of sub points related to the topic. Harvard formatting style highlights a very unique style of cover page. The cover page and the title of the page are set at the bottom of the page. The title of the page is in capital letters. The name of the author is written at the bottom of the page. The name of the author is not in capital letters. The name of the education institutions is also given. The title of the page is right justified and does not work as per the normal, left and centre alignments. The header contains short description of the title. The header contains the title of the topic and the page numbers on the right hand side of the page. The title of the assignment is centered and in capital letters. In the case of a long assignment, the assignments can have a centered sub heading and the sub points need to be in italics. Harvard style stresses on the use of standard font size including Times New Roman, Helvetica and Arial. Therefore, the use of standard font style and size is the requirement in Harvard style. No fancy fonts are used in Harvard formatting styles. There should not be any excessive use of colors, or excessive use of bold, italics and underline features in the text assignment. The text should be double spaced and proper spacing of left margin and right margin is made. In Harvard style, the name of long plays, movies, journals, magazines etc are written in italics whereas the name of short stories, short plays etc are written in double quotes. In Harvard style, the referencing style is of a particular nature. There is no tab applied at the beginning of each paragraph. Justified alignment is used for text. Double spacing and in certain cases 1.5 line spacing is used for text assignments. 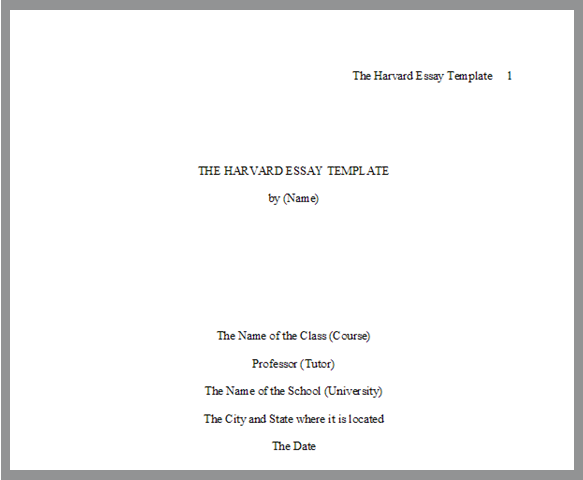 Non-indented paragraphs are used in Harvard formatting style. There is no tab given at the beginning of paragraph. MLA stands for Modern Language Association. MLA utilizes general formatting styles and uses English language. MLA recommends the use of standard font size, such as Times New Roman and font size of 12. It is said in MLA formatting style the regular texts and the texts in italics should be recognizable and there should be enough scope of differentiating between the two. There should be only space provided after a full stop and after other punctuation marks. This is the normal style of providing spaces, in normal cases unless in some exceptional cases. The margin is set to 1 inch on all sides in MLA formatting style. This is the indenting style and margin limit used in MLA formatting style. The first line of a paragraph is indented one and half inch from the left sides of a margin. MLA formatting style recommends writers to apply tab instead of applying space bar five times. This is how indention is done in this formatting style. Quotation and italics are used for referring to different works used in the title. The requirements are the same as in the text of the assignment. There should be a double space between the first line and the title of the page. Double spacing is an important fact in MLA formatting style. In MLA formatting style, the use of header is suggested. In the header, the page number of each page is mentioned on the top right corner, one-half inch from the top. In certain cases, the first page, which is the title page, has the page number omitted. In MLA formatting style, certain important works and notable aspects, which need specific emphasis and highlighting is required to be italicized and mentioned only when needed. In case of endnotes, the end notes need to be mentioned on separate page. This page should have the title centered and formatted. A header needs to be created at the upper right hand corner of the page with the last name of the writer and followed by the page number. The page numbers are made consecutively based on the Arabic numerals. The header is made one-half inch from the top and top right margin of the page. A header is used to signify the name of the author along with the page number. MLA also emphasizes on section headings to increase the readability of the assignment and also improve on the presentation of the page. Certain important chapters and notes are mentioned under the sections headings. MLA recommends that the sections should be followed by Arabic numerals, then the period followed by a space and then the section name. MLA does not have a specific guidelines and style of headings for books. If someone uses only one level of heading in a book, it signifies that all other sections are similar and distinct and it does not hint at any other level of heading in the books. These sections need to resemble one another grammatically. Heading 1- it includes the heading to be bold and be made on the extreme left. Heading 2 includes the heading to be in italics and on the extreme left. Heading 3 mentions the heading in the centre and in bold letters, whereas heading 4 stresses on the headings to be centered and in italics. Heading 5 stresses on the headings to be underlined and such headings are made on the extreme left of the page. Thus, these are some of the rules regarding headings in MLA formatting style. Writers have to be careful and aware of MLA formatting style. MLA formatting style does not recommend the making of the title page. However, under specific guidelines, the title page could be made. 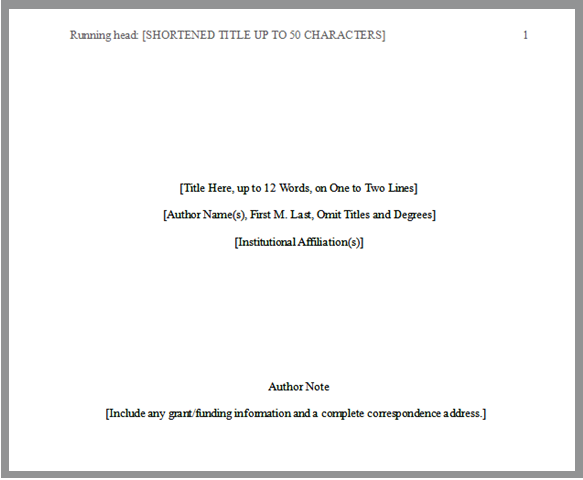 However, it can be seen that in MLA formatting style, the title page is not recommended to be made. In the upper left hand corner page, the name of the student, the instructor’s name, the name of the course and date is mentioned. Double spacing is used in the text of the assignment. The text need to be double spaced and centered. The title should not be underlined, italicized, or put under quotation marks. The title needs to be made in title case. The title case is standard capitalization and does not stress on using all capital letters. These are certain specification in title case. OSCOLA uses little punctuations in its work. There is no full stop after the initials and abbreviations of names. OSCOLA incorporates a footnote style. Full stops are used to close the footnotes. Writers need to focus on those areas of deviations that are critical for writing assignments. On careful scrutiny and evaluation, one can see that certain mistakes are made during formatting which needs to be avoided by writers to make their work free of errors. One of the main scopes of error is running head. It could be seen that mistakes are made while providing running head. A lot of amateur and new writers fail to give the running head in APA formatting style. Either the running head is absent or the running head included in the paper is full of mistakes. The page number is excluded and the title of the page is not properly formatted. Writers at times can omit or miss out on the abstract while preparing a report. Another mistake that is noticed among writer is the absence of keywords. Keywords are required to be present below the abstract in APA style. 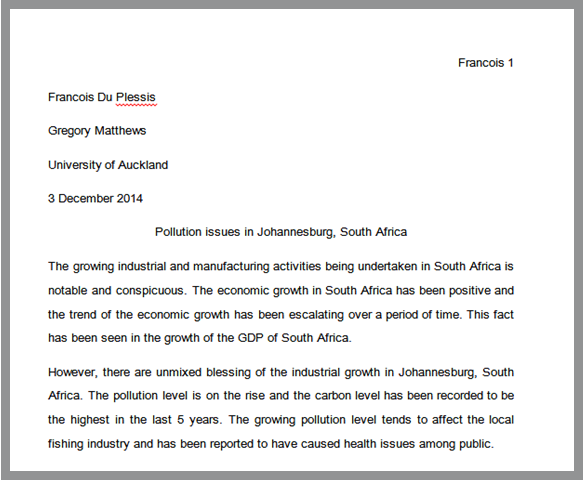 Headings are another important fact that needs to be kept in mind, while writing an assignment. It has to be kept in mind that headings are an important part of an assignment. The five level headings are to be kept in mind in APA and MLA styles. Providing page number for direct quotations is one of the main mistakes committed by writer. Using standard font type is required and no fancy font type should be followed. It has to be kept in mind that formatting styles like APA and MLA incorporates the font style of Times New Roman, Arial etc in the formatting of texts. The entire text except the table of content is to be double spaced and many writers fail to provide double spacing and commit one of the major errors in formatting. Tab should be given during indenting and one of the major mistakes that writers make is providing space bar five times. Therefore, indenting and providing margin according to appropriate formatting style are important for a writer.